by Jeff Bissonnette - Maybe it’s the July 4th/Independence Day holiday coming up but the saying from the American Revolution has been on my mind for the past few days. With apologies to Thomas Jefferson (who said “eternal vigilance is the price of freedom”), we’ve learned recently that we need to be ready for anything as we build a stronger solar industry in Oregon. On June 24, Gov. Kate Brown sent a letter to the Joint Legislative Committee on Oversight of the Oregon Department of Energy that acknowledged the continuing shadow of the now-defunct Business Energy Tax Credit and called for allowing the Residential Energy Tax Credit and some other incentive programs to expire as they are scheduled to at the end of 2017. While the Governor’s letter also said that the efforts to expand clean energy and address climate change did deserve state support, she did not offer specifics as to how that support should be provided or at what levels. Based on the widespread support that RETC has along with its excellent track record, I believe we will be able to defend the critical resources that RETC represents to many in the industry. But it’s going to take a lot of hard work. And that’s just one part of the hard work we have ahead of us. We are building an organization that can respond to threats to the growth of solar and that can also push a proactive agenda. We are combining our policy activity with political activity to have conversations and build relationships with decision-makers in the campaign season and in the legislative session. How effective OSEIA ultimately becomes depends on you. Send your stories about how the Residential Energy Tax Credit has help your business and your customers. E-mail them to me on your company letter head by July 10. We will use your stories as part of our communications strategies and legislative education pieces. Share your policy idea on how to make solar stronger. It may be part of our 2017 legislative agenda! 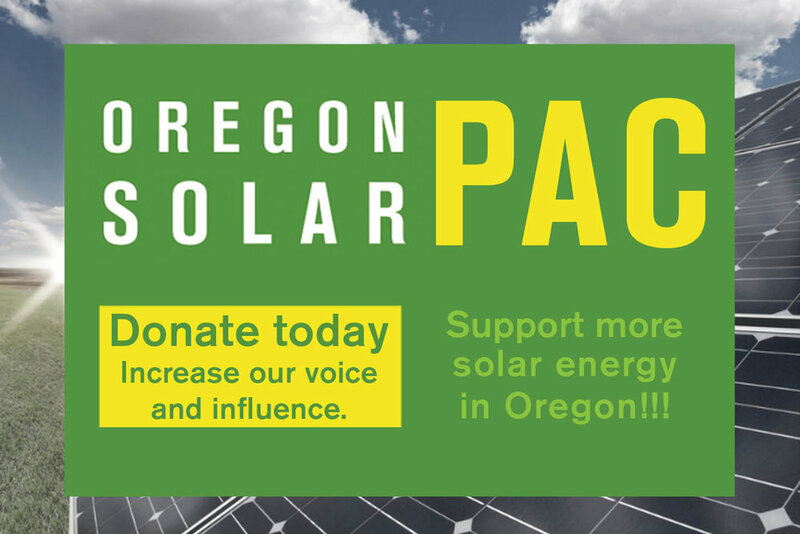 Help build solar champions by contributing to the Oregon SolarPAC. Donors will be involved this fall in meeting with legislative candidates about their work in solar and policies that can help solar grow in Oregon. Maybe ol’ Tom had it right all along. After all, doesn’t more solar actually equal freedom? Freedom from fossil fuels; freedom from volatile energy prices; freedom to reduce your carbon footprint? Let’s work together to make sure that solar helps celebrate an Energy Independence Day.